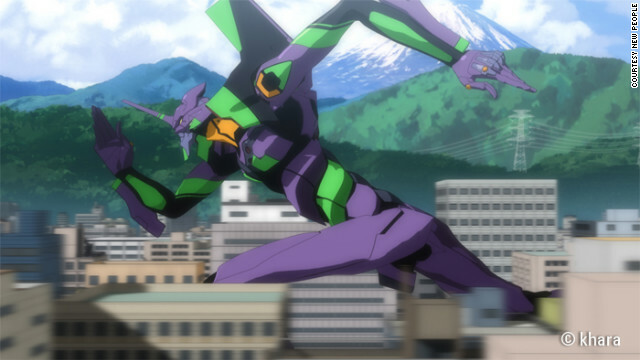 Evangelion unit 01, steered by Shinji-kun, goes after an Angel. SPOILER ALERT: If you're new to this whole anime thing and you have not watched "Neon Genesis Evangelion" in any of its iterations, beware: We need to discuss some plot points in order to understand why this franchise continues to affect fans. This year's J-POP Summit Festival (held in San Francisco's Japantown on August 25 and 26) boasts the Evangelion Pop-Up Museum, delighting - but not surprising - "Neon Genesis Evangelion" fans. Seventeen years after this influential anime series' original run, fans are still just as excited about it as they were in the beginning. In addition to showing off rare sketches, drawings and collectibles at the pop-up museum, The J-POP Summit Festival is one of the hubs for the first ever "Neon Genesis Evangelion" worldwide stamp rally - a beloved Japanese summertime tradition that challenges attendees to collect stamps from different locations. This rally intends to be the longest-distance stamp rally in history. But a stamp rally bent on a world record is only one of many events celebrating "Evangelion," as it's known to fans, that happen year-round. For example, there was a pop-up Evangelion Gallery Cafe late last summer in Tokyo's Harajuku district. Dozens of American fansites such as EvaGeeks are anticipating the release of the third film in the "Rebuild of Evangelion" series, coming to Japanese theaters this November. Fans can practically depend on finding new fansites, cosplay groups, giant statues of the characters and Evangelion fan fiction whenever the mood strikes. 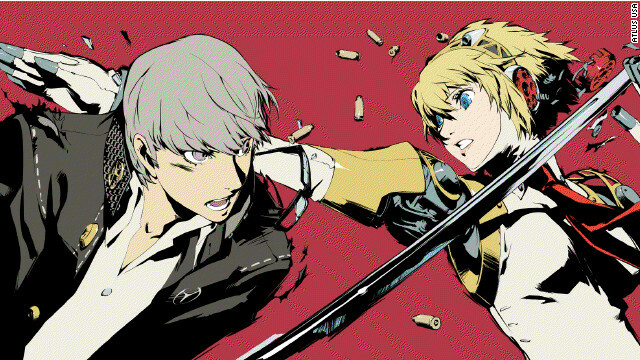 "Neon Genesis Evangelion" tells the story of an apocalyptic event that destroys a large portion of Earth in the year 2000. In the aftermath, a research organization erects a militarized civilian city and invents giant mechanized robots piloted by teenagers called Evangelions. These mechs (a Japanese colloquialism for mechanized robots as well as the related genre of sci-fi) are Earth's main line of defense against an enemy force called Angels. "Evangelion" was an early example of a genre that's known as "sekai-kei," which interweaves apocalyptic themes with human lives in order to make them relatable, personal events.
" 'Evangelion' was the first show that questioned how creator and creation coexist on a grand scale," said Andres Cerrato, a mecha expert and longtime "Evangelion" critic. "When fans tired of the archetypes of 1990s anime, it offered engaging relationships, complexity and mythos."